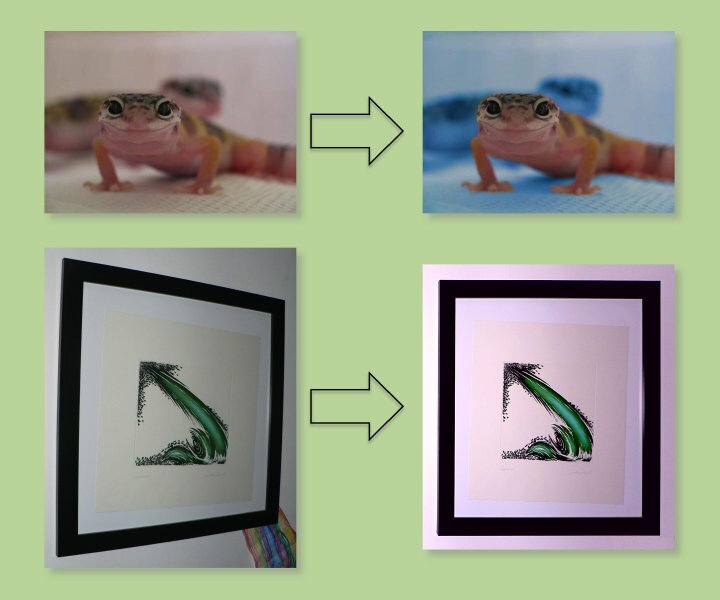 Centimedia will make the required adjustments to images for your site, presentation or article: changing filetype, cropping, rescaling, and similar basic changes. But as illustrated here on the right, there is no problem if your needs are somewhat more complicated: maybe changing colours and using masks, or correcting perspective and removing unwanted details. 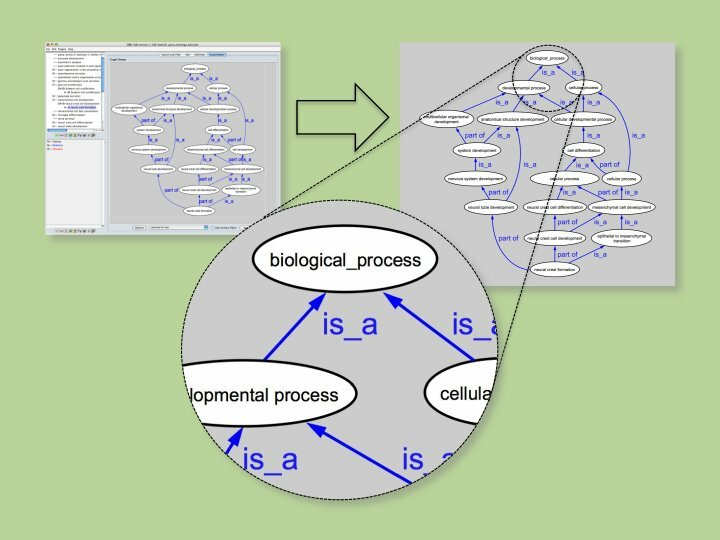 On the left is a screenshot of typical output from the online GeneOntology resource. Such a pixellated, low-resolution image works fine in a presentation, but for inclusion in a journal the client required a high-resolution or vectorial version. For many diagrams, the total cost to re-create them is less than the single-use licencing fee on existing images — with the added bonus of using your preferred font and colours, and reusing it in several formats (papers, book chapters, presentations, ... ). You have to just let me know in what form you need the file in: whether vector-based .pdf, .psd or .eps, pixel-based .jpg, animated .gif, semi-transparent .png, or any other format. If you are unsure you will get advice on what formats will be best for what usage, how to preserve image quality, and what compromises to make on file size. In the background are four preliminary designs for my company logo, including the one on which Centimedia's present logo is based. In the foreground is the logo designed for the HPSPS network. Such a commission becomes much more affordable if you can tell beforehand how serious or playful the image is intended to be, where and at what sizes it will be used, and so forth. 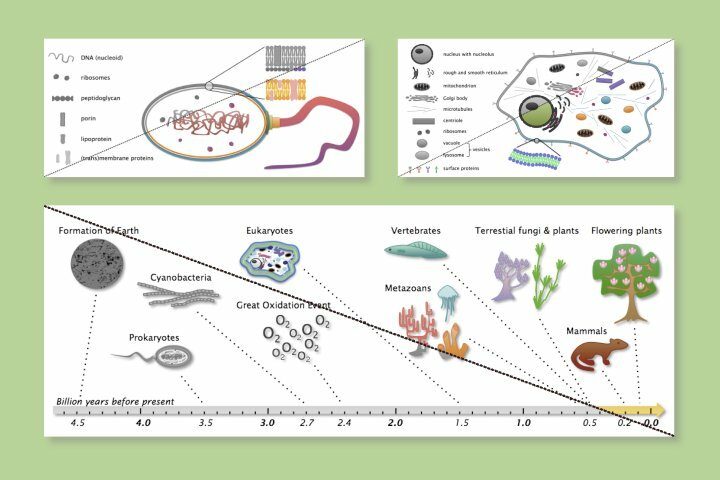 These images (respectively the main parts of a prokaryote and eukaryote cell, and an evolutionary timeline) are part of a series commissioned to work well both in greyscale print and on screen in colour, as shown above and below the diagonal. In this particular case, the illustrations are made almost completely within PowerPoint, instead of a more obvious choice like Adobe's Illustrator. The advantage to the client is reusability, for example in presentations: with your normal software, you can reuse and rescale any parts to fit a different layout (maybe even on the train, just before your talk). You can also easily change the wording or language, optimize the fontsize, or switch to the font used in the rest of your slides. At Centimedia such ease-of-reuse is seen as fair to the client (who owns the illustrations, after all), and one of the ways to be helpful to the scholar.